1 has ball centre court 2 and 3 are at the 3 point line on the wings. 4 and 5 start on the low block either side. 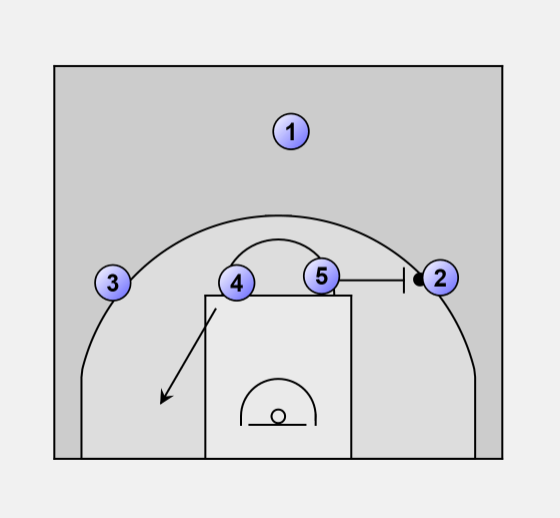 4 and 5 then move up to form the double high post positions. 1 looks to get the ball to either 4 or 5. 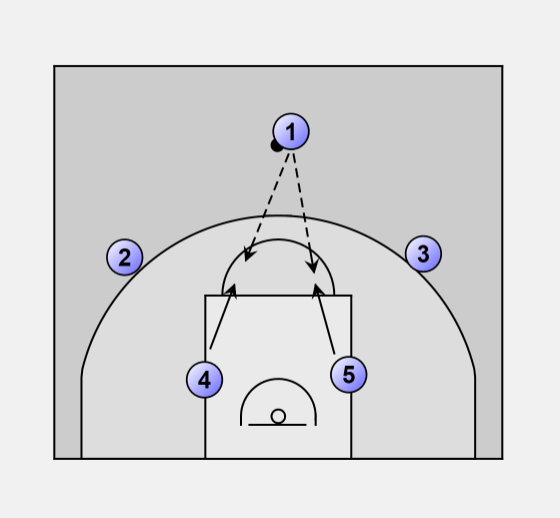 Ball goes inside and at that time the post player turns and faces the basket. 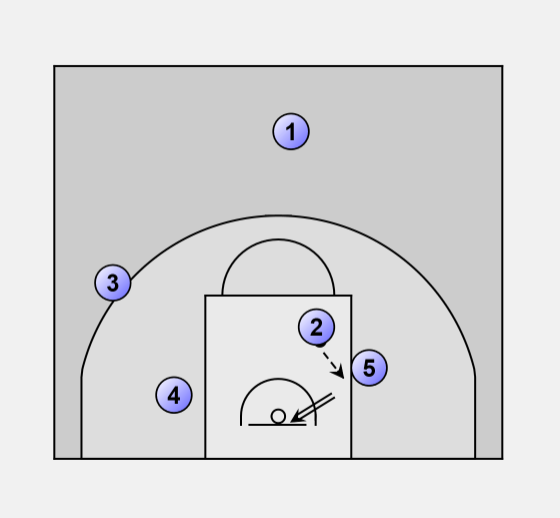 2 and 3 both make quick cuts to the basket looking for the back door option. If no direct score 5 gives ball to the wing. 5 sets on ball screen for 2 and 4 clears out. 2 comes of the on ball and read what the defense gives. 5 makes a wide roll to the basket looking for the ball. 2 gives the ball to 5 off the pick and roll.